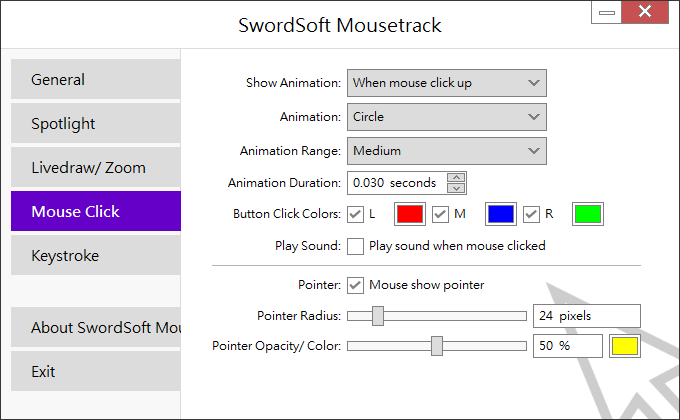 SwordSoft Mousetrack - A useful tool for presentations or demos. 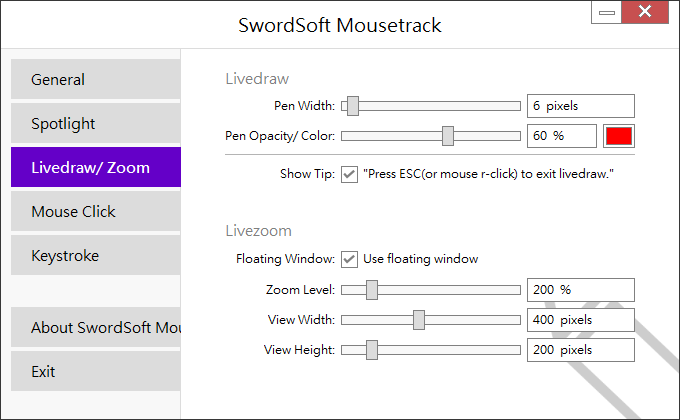 SwordSoft Mousetrack is a useful tool for presentations or demos. It can puts a spotlight on the area around the mouse pointer, show animation effect when you click your mouse and displays your keystrokes on the screen. Puts a spotlight on the area around the mouse pointer. Annotate overlap on your screen and zoom your screen. Show animation effect when you click your mouse. 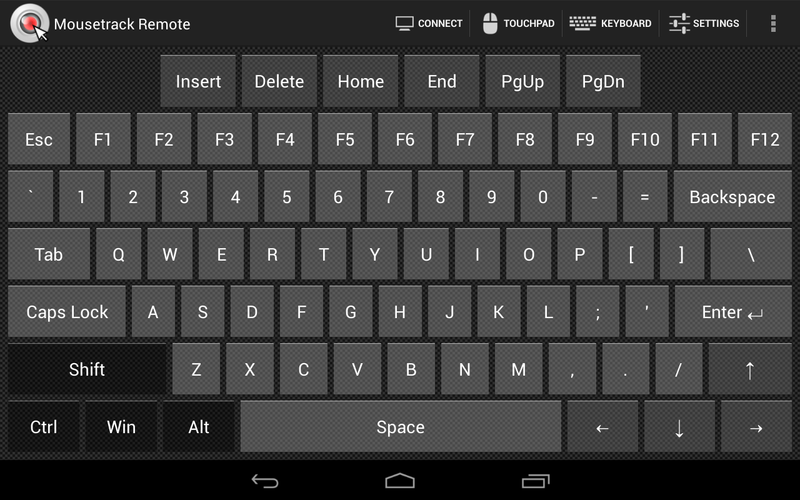 Displays your keystrokes on the screen. 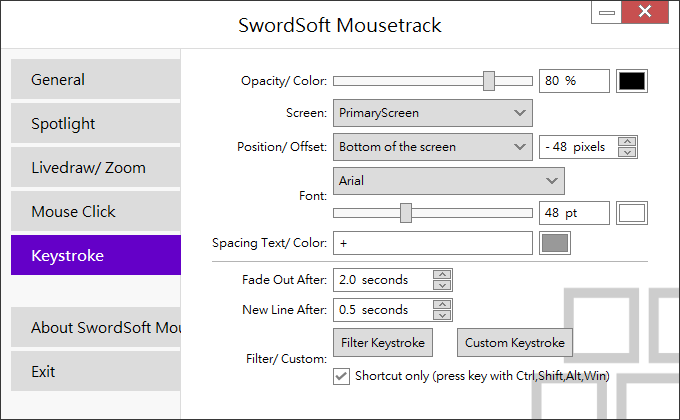 If you want to install SwordSoft Mousetrack software free version (can't save settings) or full version (need license key to activate) on Windows OS, please click the link below to download. If you download SwordSoft Mousetrack by Google Chrome, you may get some warning like this "SwordSoft Mousetrack.zip is not commonly downloaded and could be dangerous. Just ignore the warning and keep file. 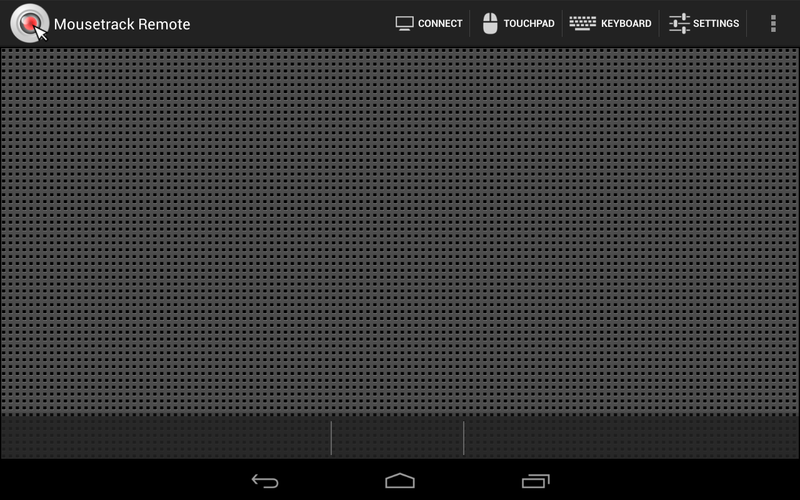 Transform your android phone or tablet into a wireless mouse, keyboard using Mousetrack Remote. 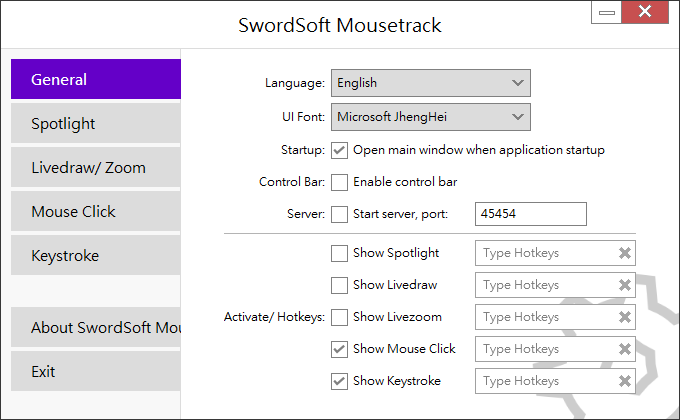 Mousetrack Remote enables you to control your windows PC through a local network connection. If you cannot find the answer to your question on any of the pages referred to above, please fill in the following contact form or send us an e-mail. We’ll respond as soon as possible. 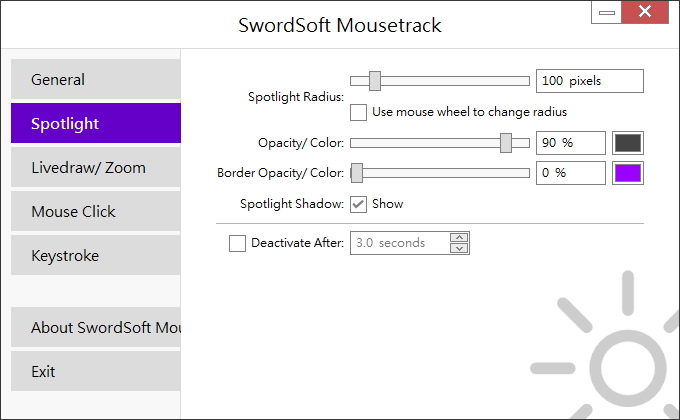 Please use this form to submit your feedback for issues related to SwordSoft Mousetrack. Note: If you would like a response, please ensure you supply us with your e-mail address.